The Academy for Lifelong Learning is a membership community that offers free and low-cost classes, events and activities for adults age 50 and older. Choose from technology, health and wellness, financial planning, community service projects, literary discussion groups, genealogy, arts and crafts, an insider's view of Texas history, and more. Wednesday, August 7, 10:00 a.m. - 12:00 p.m.
Monday, August 12, 1:00 p.m. - 3:00 p.m.
Thursday, August 15, 10:00 a.m. - 12:00 pm. Friday, August 16, 10:00 a.m. - 12:00 p.m.
Friday, August 16, 1:00 p.m. - 3:00 p.m.
Wednesday, August 21, 1:00 p.m. - 3:00 p.m.
Thursday, August 22, 1:00 p.m. - 3:00 p.m.
Friday, August 30, 10:00 a.m. - 12:00 p.m. Annual memberships starting at $20! Or, join all six campus ALL Programs for just $55! No educational prerequisites. 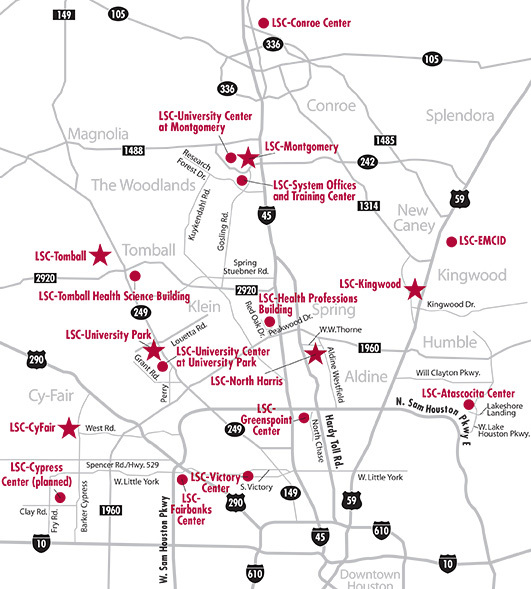 Choose a campus for more information. Membership fees are non-refundable. The ALL Program at LSC has enabled me to attend classes in a leisurely environment and to learn about topics from various speakers on subject matters that are interesting to me. No pressure and open discussions. It has been very rewarding. Strongly urge more seniors to join and attend the classes of their choice on any of the campuses.